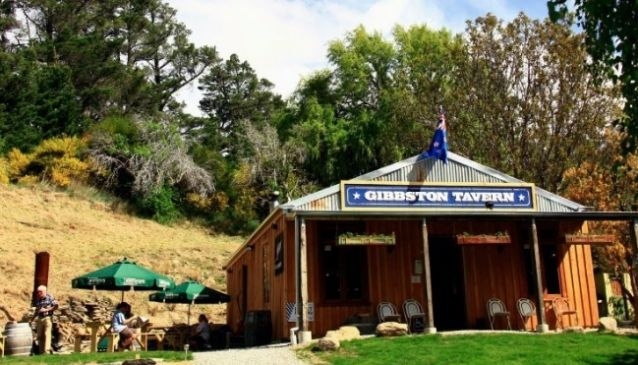 Situated in the wine region of Gibbston, the Gibbston Tavern is tucked away off the main highway running through the picturesque valley. The rustic tavern is packed full of character that comes from being located on a historic site where the gold miners' Gibbston Hotel stood proudly in 1861. It's a relaxed and friendly place to relax and enjoy a beer or two with a menu of quality pub grub. During the summer the lawn is a welcome spot to soak up views of the wine valley setting and unwind. Travellers can also take advantage of on site facilities for campervans. Gibbston Tavern can host events up to 250 people with full catering, using a marquee on the main lawn. The tavern can host staff events, weddings and functions. Monday to Sunday 11.00am - 10.30pm.